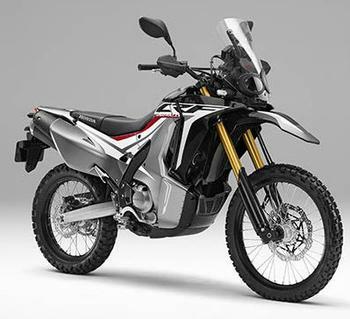 American Honda Motor Co. is recalling 505 model year 2018 Honda CRF250L motorcycles. The wiring harness may have been inappropriately installed, potentially resulting in damage to the wiring harness and affecting the operation of safety components such as the exterior lighting, horn, and instrument panel. Honda will notify owners, and dealers will inspect the wiring harness, replacing it as necessary, free of charge. Owners may contact Honda customer service at 1-866-784-1870. Honda's number for this recall is KJ7.